Looking for a quick fix for your iPhone 6 plus problems? Look no further. 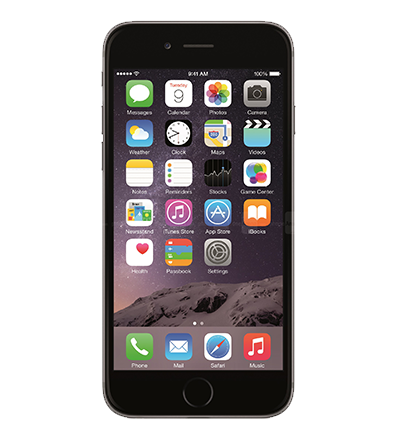 At iPhone Repair Santa Barbara our knowledgeable staff or repair techs are ready to assist you your most stressful and time consuming problems concerning your iPhone 6 pus. If you just dropped your phone and now are having to deal with a mess of shattered glass, don't worry, come straight into our local store and have one of our experts provide you with a fast and reliable fix. Having another issue? Don't worry we have seen it all. If you are experiencing home button issues, charging port problems, battery faults or even if you don't know what is wrong with your iPhone 6 plus bring it in for a free diagnosis in order to pin point and fix the issues at hand. No problem is too much for us to handle and we understand the value of your personal device, that is why we take extra precaution with every repair in order to ensure a quality repair from start to finish. If your glass has just cracked on your iPhone 6 plus - do not worry! We have quality replacement parts, free damage consultations and expert repair techs ready help with an iPhone repair at a moments notice. Sometimes you may experience multi-colored lines, black spots or a completely black screen when you drop your iPhone 6 plus hard enough. This does not mean that you need to throw your iPhone in a shoebox and go buy a brand new one from Apple. Instead of the hassle and expensive blow to the bank account come visit your local repair techs at iPhone Repair Santa Barbara for a quick and affordable iPhone repair. We have seen all sorts of iPhones and have not seen a single crack or shatter that we can not fix. So next time you have a severe break skip the line at Apple and come straight to your local repair friends at iPhone Repair Santa Barbara. If your iPhone 6 Plus is giving you problems, don’t play guessing games, bring it in and we will provide you with a free diagnostic service to determine whats going on with your iPhone. We pride ourselves on our free diagnostic service going an extra mile for your total satisfaction with our - No Fix, No Cost Policy. We will spend all day trying to get your iPhone to function again and if we can't make it happen you will not be charged for labor fees (period). With a zero-risk, no-obligation diagnostic service you will never go wrong with our repairs. If your iPhone 6 Plus won’t hold a charge, the problem could very well be related to a faulty battery or charging port issue. Bring in your iPhone and we will conduct a free diagnostic to determine the cause of the issue. We use premium replacement parts to ensure that your iPhones health will be uninterrupted until your next upgrade. Don't trust Apple's throttled batteries - come to us today and get premium quality parts. We offer the highest quality in replacement parts in the Santa Barbara which is why we are so loved in all of our reviews. However, on the off chance that you experience further issues with your iPhone 6 Plus, bring it back in and we will cover any problems cost free. We offer a 90-day cost free warranty on all parts that we service. So come in today and get your iPhone back to its tip-top out of the box health.